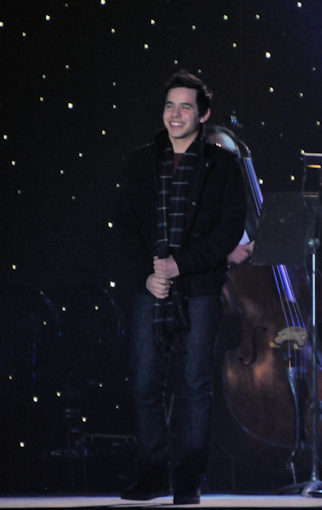 « David Archuleta at the American Idol Finale! Tonight’s the Night! 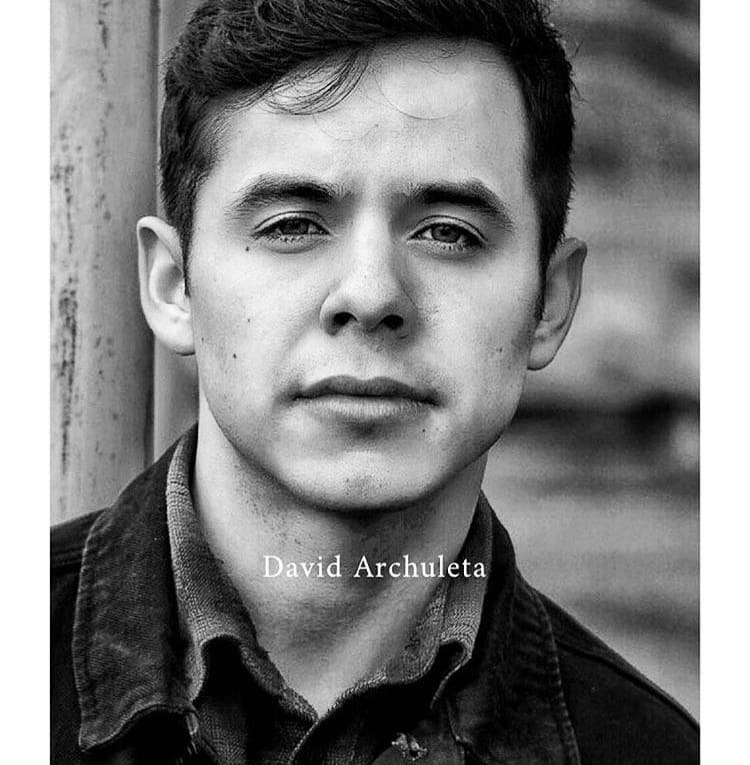 This entry was posted on Saturday, April 9, 2016 at 12:00 PM	and is filed under @DavidArchie, @ginaorr, @kariontour, American Idol, Appreciation, Archies, Musical icon, Respect, The Voice, Uncategorized. 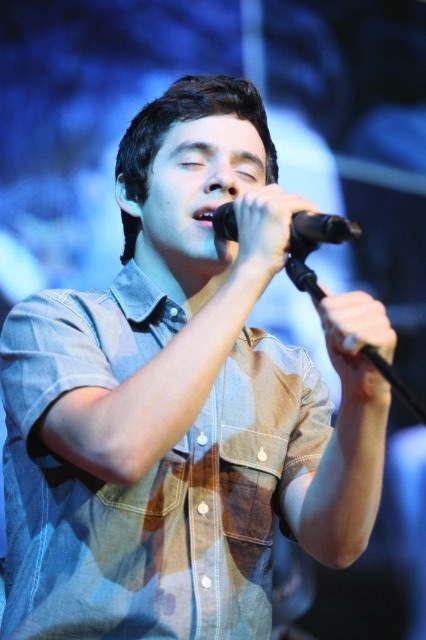 Tagged: @DavidArchie, American Idol, Best Idol Ever, David Archuleta, David Archuleta rocks! 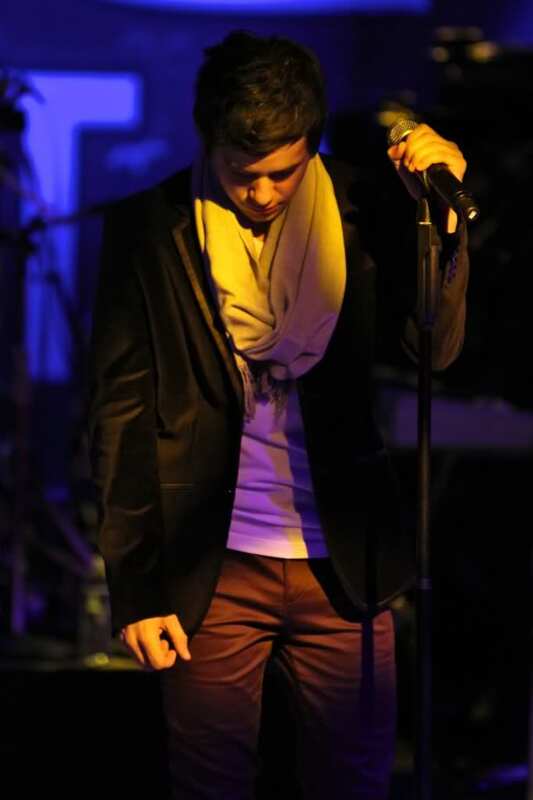 :), from the heart, singer, Standing by him, We'll Be Here. You can follow any responses to this entry through the RSS 2.0 feed. You can leave a response, or trackback from your own site. This guy doesn’t cease to amaze me. I can’t wait for what’s to come. Can I just say that I am so glad this all happened this year and not last? 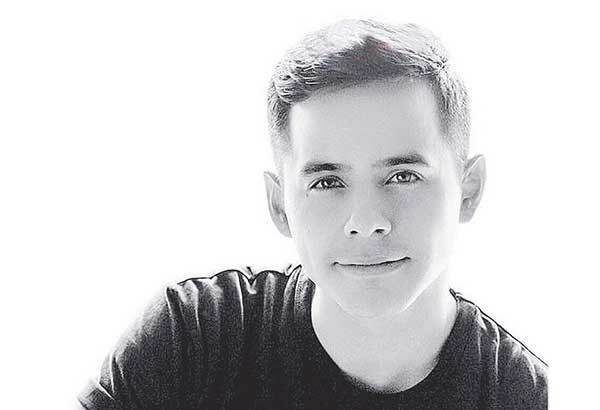 This year he is able to show up, be relaxed, nod to the cameras, hug people, be present: all the things that he would have done before – yet struggled with, and could not have done at all last year. It felt with so good to get this IG from David. 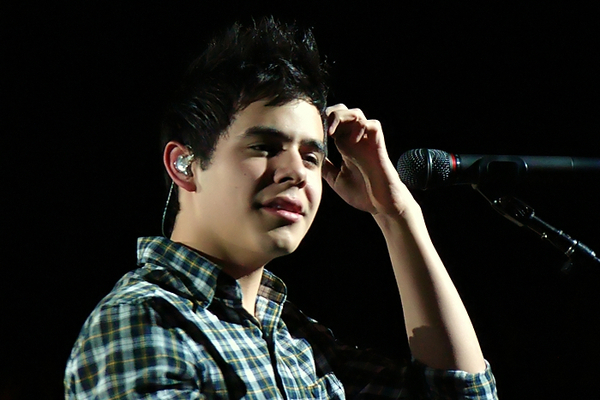 He even sounded a little like the old David to me. 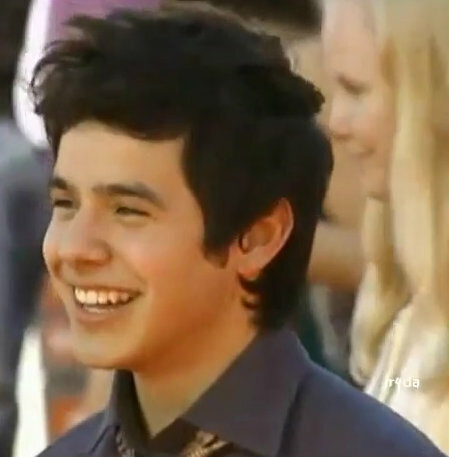 I have to say that I had mixed emotions about David’s part in the Idol finale. 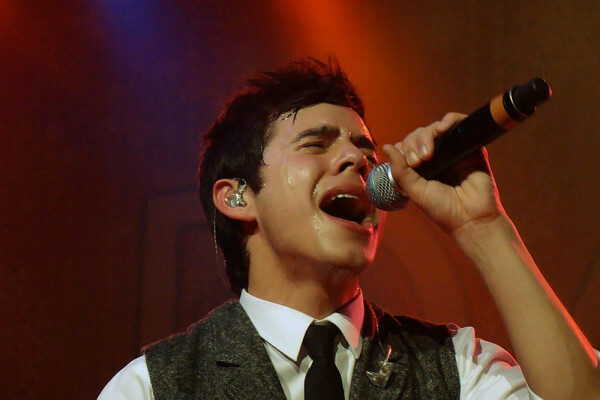 I was surprised he didn’t have a singing part, showcasing his talents like they did for the others. And I was also happy that he was happy in all the pictures I saw of him. But after examining my feelings as a long time fan, something just seemed not right, like an imbalance, similar to how I felt at the results of Season 7. It felt as if the last piece to the puzzle didn’t fit. 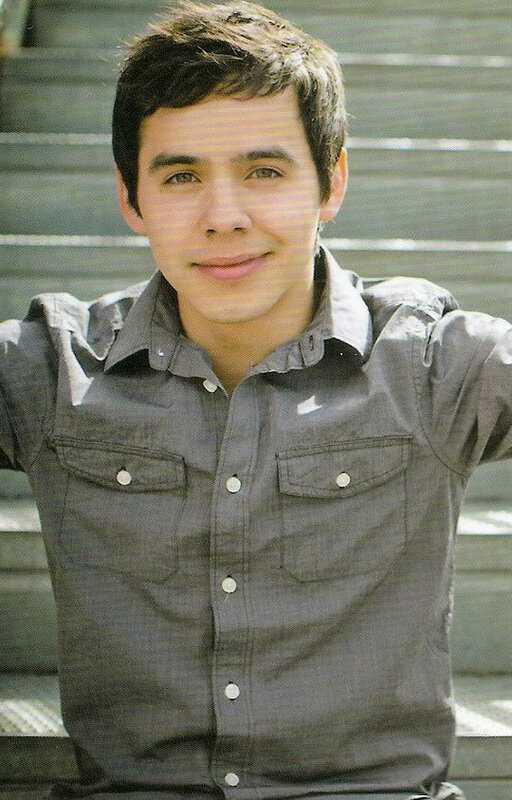 I didn’t want Idol history to close without acknowledging how significant David was to the show. Little did I know that he felt badly too and didn’t mean for it to happen this way. Celebrities often have scheduling conflicts making them unable to attend events. He felt bad that the fans felt bad and wrote an explanation. He made me, for one, feel better to learn that it was not that they didn’t want him to sing and it was not that he didn’t want to sing. It was just one of those things that couldn’t be helped. The explanatory IG was a very nice gesture on his part! Check back? For an update? Who is this and what have you done with DA?!!! 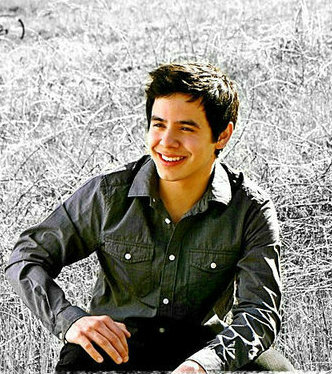 Hey, he is worth the wait. Good interview with Trent Harmon, the new American Idol. 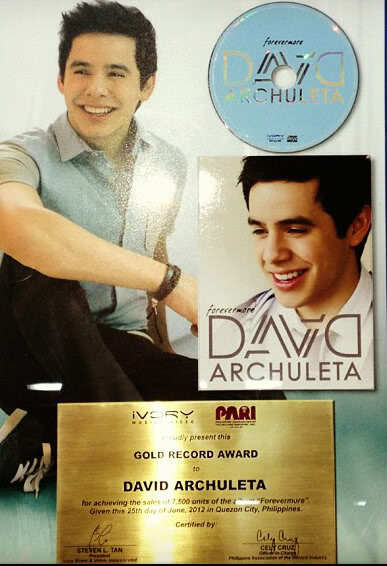 He mentions David Archuleta as his inspiration!! David edit- She’s from Guatemala! And then, “No worries, I will keep finding ways to sing up ahead as long as y’all keep supporting. Thank you for your continued support and concern! 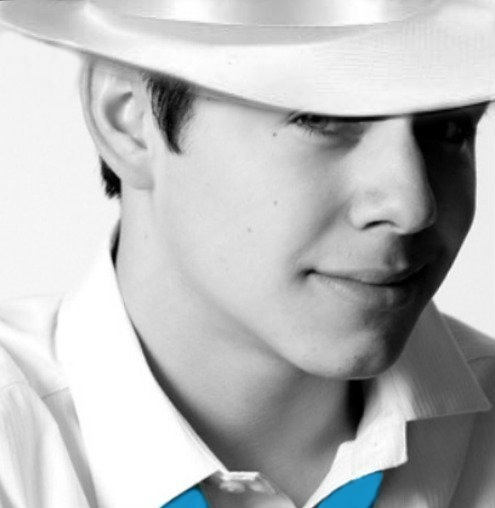 It’s nice to know people still care enough to ask.” He wonders why we love him… why he’s our #1 Idol. I’m glad that he was able to be there. That he was able to share in the happiness that was there. That he didn’t have to feel the stress that he may have felt had he performed. Yes, sometimes things don’t work out just the way we would like them to, but in the end it’s usually the best way. And…. that he was able to recognize those things that have helped make him who he is. 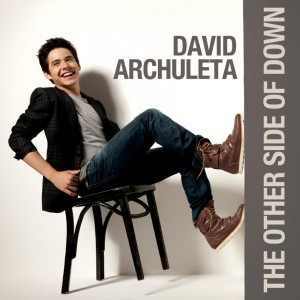 Loving all sides of David and yes I’ll always have your back! ☺ 💕 Heck poor Brooke White said she didn’t even get asked to appear on the finale and doesn’t know why. But she said she’s ok with it…things happen that way. Here is what Brooke White said about not being asked to be in the Idol finale. 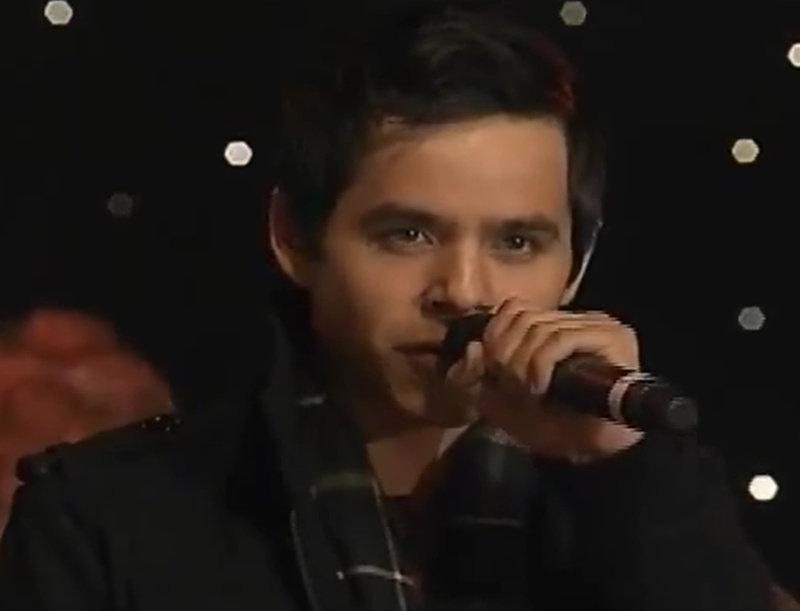 Saw a few clips of David on Twitter from last December’s Make A Wish event where he performed. I thought it would be nice to share again with some extra clips. 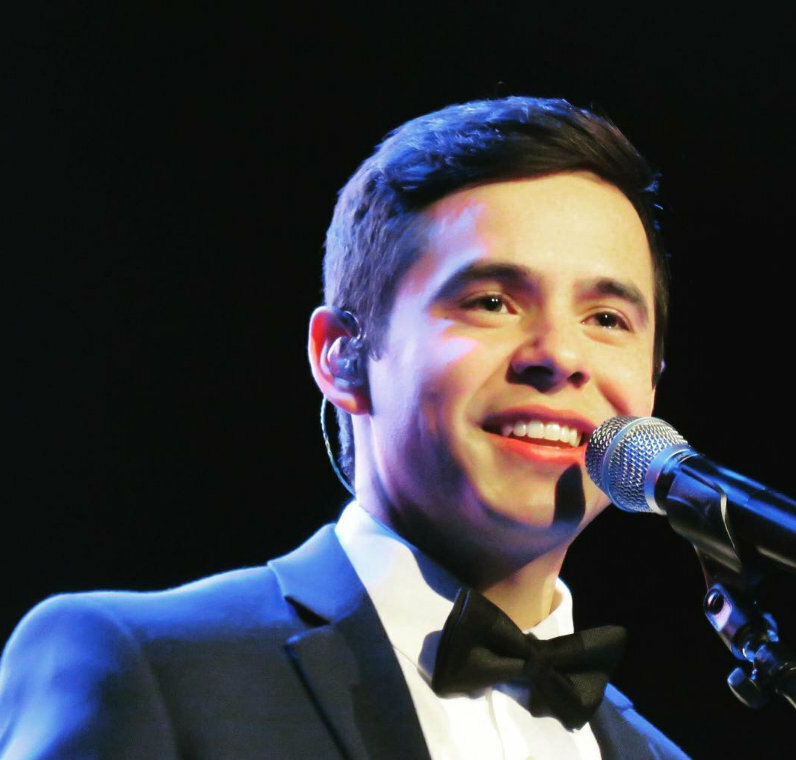 This one has a link to a video explaining how David came to do the concert. A young fan who feels that Elevator tells the story of how she fells about her illness. Abs, thanks for bringing over Brooke’s blog on IG. She has a cute little daughter “mini me” and is expecting a son in Nov. She is so nice. Abrra, I had heard about Brooke but hadn’t read her words, what sadness. It makes no sense to me. Bluesky, I agree with your sentiments, David probably wasn’t ready last year to be immersed in the idol festivities. 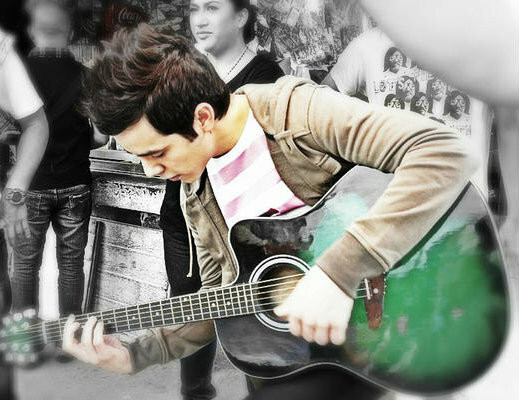 Bebe, it is such a good feeling to see David enjoying himself. And after reading his blog as much as I wanted the world to see and hear him this was probably best for him. There will be other opportunities. I love this. So glad it was captured for all the fans to see. The energy and sheer joy of all sharing this connection with David is surreal. Sunday’s puzzle comes from a photo shoot by Russ Dixon. Thanks for another great Sunday puzzle, Abs. 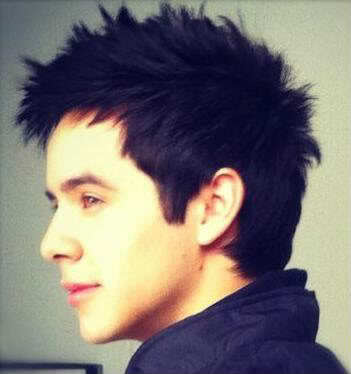 The photo is in my top 10 favorites of David! He generally always takes good ones, but this one is a little more special. Dja, Shelley’s clip of PandA shows the fun we had with that song. Great memories! Great fans! So sad 🙏 For Tina aka rhiminie. Thanks for the info for the card for Tina. I signed it. So sad. Dja, thanks for the info on the card for Tina. Wouldn’t have known without you wonderful admins here to keep us updated of things like this. Got it signed and am so sorry for her loss. I was wondering why I didn’t see Brooke at the Finale, now I know. She is so sweet, just like David. I loved how positive they both were in what they said. But hey, that’s just me being a fan …who could have done without watching the never ending extravaganza of a certain judges’s performance which took up almost 6 minutes..yeah,that. OK I feel better getting that off my chest,thank you. anyway, so happy he was there♥and looking forward also to the blog he said he would write!!! Lupe sure looks good,.love that pic love her hair. 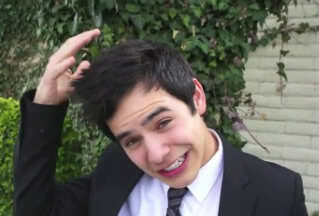 .What is it about David mentioning Thai food again that makes me smile? 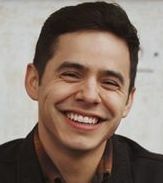 “Like many of you, I was so disappointed that David Archuleta was not added as a featured performer during the American Idol Finale last week. 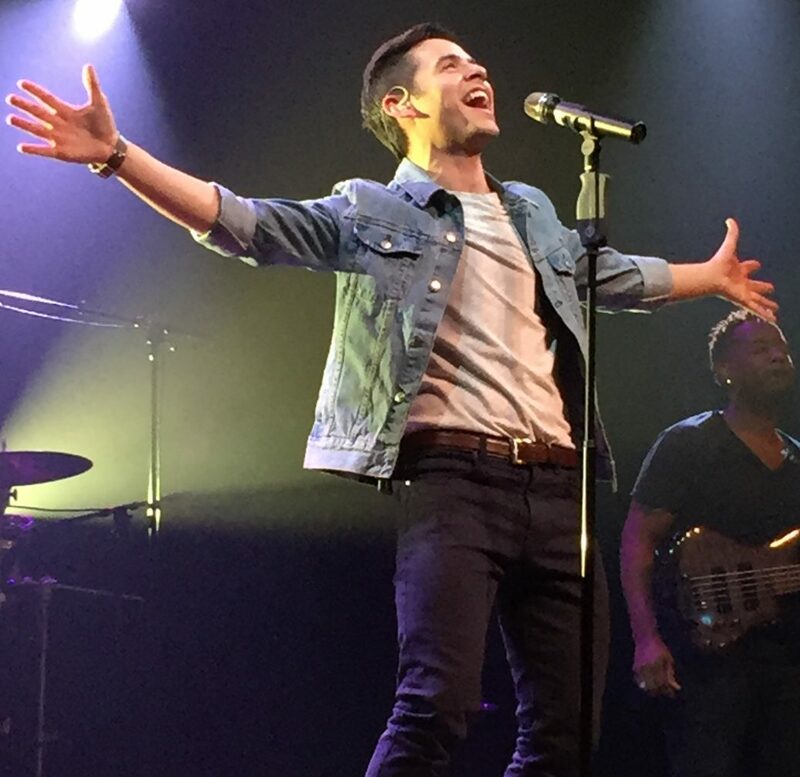 “So, in other words, David humbly relinquished his spot so that others – particularly the Final 2 of Season 15, Trent Harmon and La’Porsha Renae– could have more time on stage. I love him even more for doing this – as if I need more reasons to love him. What a special young man and even greater role model to everyone, young and old. Nice David mention from Gracie! I totally agree with the rant about JLo. If I want to see someone with a large booty shake it nearly naked, I can look in the mirror. If I had young children who were watching the show, I would have taken them out of the room. My son used to tell his boys, when they were young, to cover their eyes when something came on he didn’t want them to see. I took them to see the animated Tarzan years ago, and when Tarzan kissed Jane, I looked at the boys and they had their eyes covered. So funny. They definitely would have had them covered for that mess with JLo. 30… KCTV5 is one of my local tv channels. Sorry that I missed Gracie. She lives about a half hour from me. When I met her in November in St. George we chatted a few minutes, she is a sweetheart. Lynnella, that’s a cute story about your grandsons. I can just picture it. 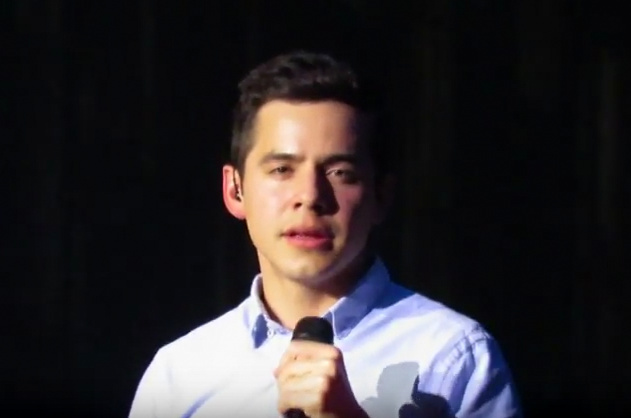 🙂 Another song that was sang on AI was “No Air” that David sang with Jordan Sparks….and no David! 😦 Hope it doesn’t take me another 8 yrs to get over him being slighted again! And Constantine’s face always being on camera didn’t help me either! Ok, rant over…I think…. It actually helped me get over my sour grapes…I’m ok with it now. 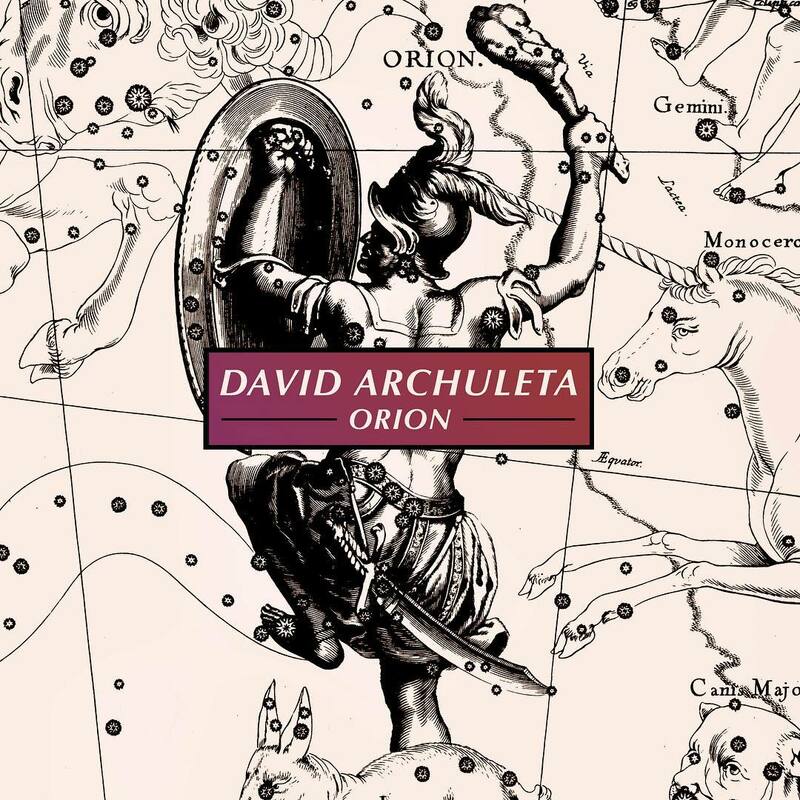 Thank you, David!